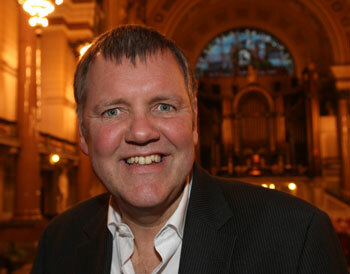 Clive Tyldesley: bullied at school? Hello and welcome to pedants’ corner. Or should that be pedant’s corner? Is it a corner for pedants or a pedant? Anyway… You know what grinds the crap out of my gears? When football commentators/journalists etc. refer to Manchester United as simply ‘United’. In the Alex Ferguson/Sky years, it’s increasingly become media shorthand to refer lazily to Man Yoo as ‘United’. Of course, I don’t need to tell you that Man Utd is not the only United in English football. But apparently I do need to tell Clive Tyldesley that Eric Cantona did not exactly move across the Pennines from Leeds to United. Radio 5 also made the same gaffe during Leeds UNITED’s recent FA Cup win at Old Trafford, though they did recognise the f**k-up and apologised for it. God bless the self-regulating Beeb. I completely agree with you, Ollie, but it’s not so much of a recent thing I suppose. This has been happening for as long as the Premier League has been around and I guess you just eventually just forget / ignore that it is being said (along with the rest of the Sky / ITV / BBC / ad finitum ramblings). David, you’re right. Always worst when Man Yoo play Leeds and Newcastle. I’m not a Man U fan, but as they are probably the most talked about united, it is easy just to say united. Also, it is easy to shorten Leeds United and Newcastle United to Leeds and Newcastle, where as With Man Ure you cannot do this, by calling them Manchester as Manchester is not a one city club. Hence why Manchester City are not referred to as Manchester either, but often just City, as they are probably the biggest ‘City’ club around. I think Leeds United fans were more happy celebrating the win over united, (sorry Man United, found myself a few times having to correct myself writing this), than the generally inaccurate bbc and others calling the losing team ‘United’, well at least all my mates that went to Sold Trafford were! In general I think it is just habit that they are referred to as United, mainly just because they are the most talked about, so it sticks. I am sure other clubs amongst their own fans refer to their own team as only united, I know some a couple of barcode fans that do. ok so they use united because its shorter than manchester it would be so much easier to say scum. hows about that then young man. I remember a few years ago when Sheffield United were playing at Old Trafford on a Monday night; the Sky Sports pundits were constantly tripping over themselves talking about United, when both Manchester United and Sheffield United have opposing teams with the same first name within their city. Richard Keys: Yes, many would be on United winning this one, but it hasn’t been all United’s way in this first half, with United playing some good football. Use full names Sky, BBC and especially John Motson. Supporters of clubs with ‘United’ in the title generally refer their team just so, and you wouldn’t want to have anyone think you’re a Man United fan, would? Well, what other United do you talk about regularly? Especially since Newcastle have been relegated? What about simply calling them Merchandise? Thats pretty original.